How to Download Malware Scanners? 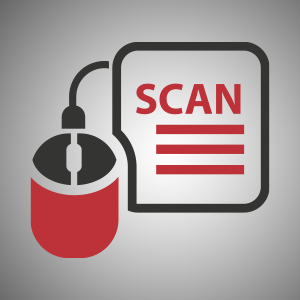 | How Malware Scan Works? Malware Scanner is a software that provides real-time protection against malware. It’s a program with several security layers to prevent malware infection. What is Malware Scanner for? Before we talk about how to download malware scanners, let’s discuss what is malware scanners for first. Malware scanner is used to deep scan any file that enters the computer. When a file reaches the computer, it’s either safe or harmful. With malware prevalence online, it’s hard to tell legitimate from fake software. Hackers can easily insert a fake free app or ad on legitimate websites to spread malware. Malware scanner is used to ensure that any file entering the computer is safe. It involves multiple processes to detect and eliminate malware. When a file enters the computer, malware scanner analyzes the file. The information is sent to a verdict system that contains the virus codes or signatures. The code is compared to the codes within the verdict the system. If the code matches any of the virus signatures, the verdict system flags it as a threat. Therefore, it’s denied and deleted from the computer. In some cases, the verdict system returns with an “unknown” result. This simply means that there is not enough information about the file yet. The malware scanner program temporarily quarantines the file to observe its behavior. The protected space within the computer sets the unknown or suspicious file apart from the other files in the computer to prevent any damage. The file doesn’t have any idea that it’s in a cell. It thinks that it has full access to the computer. If it displays harmful behaviors, the malware scanner programs delete it from the computer to prevent malware infection. If it doesn’t, it is released. Now that we know how malware scanner works, how to download malware scanners? Malware Scanner Program or simply anti malware fights against malware using multiple malware detection techniques such as Signature-Based Detection, Heuristic Approach, Sandbox, and Removal Tools. We have mentioned the virus code or signature early on. What exactly is a virus signature? A virus is made up of a series of numbers that make it unique. It is used to identify the type of malware. If it’s Spyware, Trojan, Adware, etc. It’s the Signature-Based Detection technique that identifies the virus code. If the code is found in the list, the file is considered malicious and must be deleted from the computer. We have also talked about the unknown file. If the cloud-based server doesn’t have enough details about the file, it’s Heuristics that analyzes the file’s behavior within the protected cell. Heuristics is always looking for a behavioral pattern. It has also established rules that computer programs cannot break. If a computer program attempts to break the rules, it is contained. Within the protected cell or Sandbox, a file is unaware that is monitored. If it continues to display harmful behaviors, it is already considered as a threat. Malware is known to exhibit bad behaviors in the computer. It manipulates the camera, controls the mic, accesses the hard drive and more! Finally, when the malware scanner program determines that the file is harmful, the removal tools act quickly to delete it. The malware disappears from the computer without any trace. Malware scanner program or anti malware is capable off reversing any damage the malware has done. Many anti malware programs offer a free trial version that is available for download on Internet. The trial version contains the essential tools to protect the computer from malware invasion. Once downloaded, just run the file and follow the prompts on screen to install it. The anti malware setting can be modified so that it scans the computer based on preference. Check out and download the best anti malware software here. Comodo also offers Advanced Endpoint Protection. It’s a program that protects the endpoint devices (laptop, tablet, mobile devices) connected to the network. A vulnerable endpoint device can be a point of entry of malware, Comodo Advanced Endpoint Protection ensures that the endpoint devices are safe. It consists of seven layers of security that provide impenetrable defense against malware and cyber attacks. It also contains an advanced security feature that protects the computer against fileless malware - type of malware that can directly access the computer memory to steal data. Click here to learn more about Advanced Endpoint Protection.